Did you hear?! 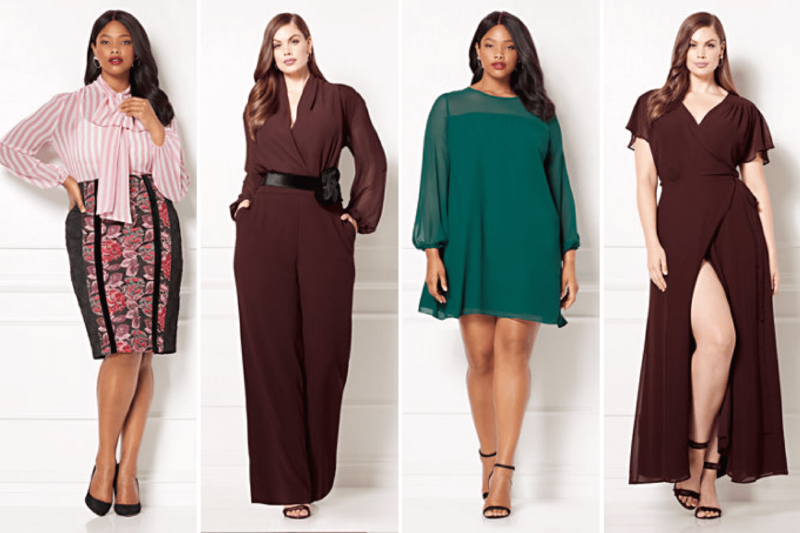 New York & Company is dipping their toe into plus size fashion with the launch of the Eva Mendes collection! Hey girl, hey! Last week we had an amazing week with the release of the fall collections from some of our favorite brands like Addition Elle and Rachel Roy. We also got a surprise announcement that actress Danielle Brooks was releasing a collection with Universal Standard. Over the weekend we got another amazing announcement! New York and Company announced their venture into plus size fashion with the release of the Eva Mendes collection! The collection is available exclusively at New York and Company and is their first time extending their offerings further than a size 20! That’s right, the Eva Mendes collection is available from size 0 – 24W! This comes from fans of the collection and company writing in asking for more sizes and the success that New York and Company saw from adding petite and tall sizes (so that means these major companies and brands are listening and hearing us)! 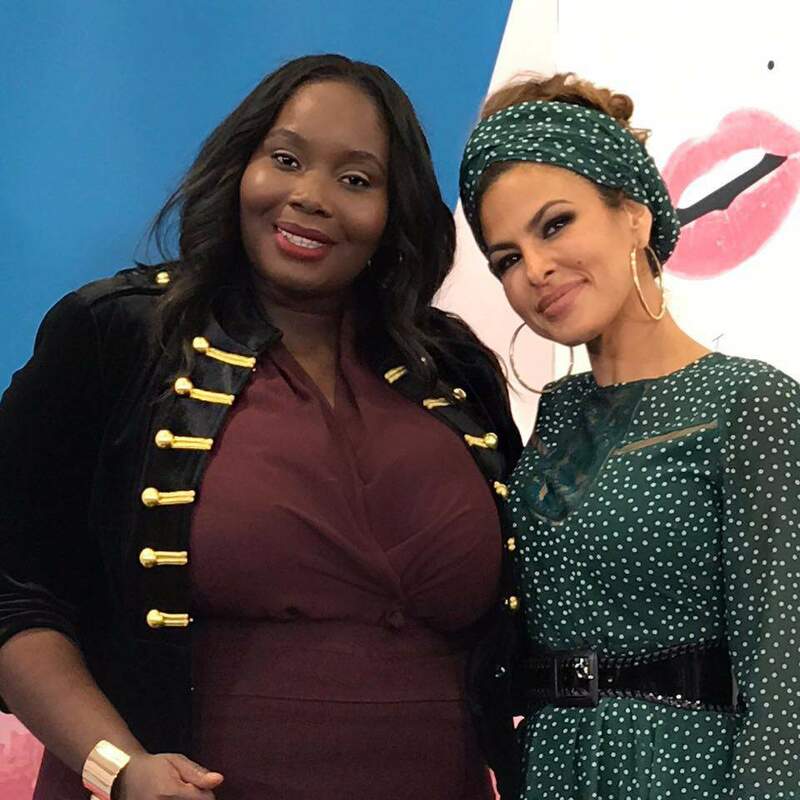 Blogger Alissa Wilson of Stylish Curves, cohosted the launch party for the release of the line with Eva Mendes herself (little known fact Eva was my favorite actress growing up)! Dope right?! She was even able to test drive some of the looks from the collection during NYFW and gave us a rundown on how everything fit which you can read over on her blog StylishCurves.com! You can definitely see the glamor and vintage appeal in many of the pieces. We’ve put together some of our favorites. Take a look below. So ladies, what do you think? These were some of our favorite pieces and ensembles from the collection! I love that New York and Company listened and extended their size range! I can’t wait to see what other collections they bring plus sizes to! What pieces are your favorite from the collection? What pieces are you on the fences about, but are you looking forward to trying on? COOL NEWS! GabiFresh Partners with Playful Promises for a Plus Size Lingerie Collection! Cool News! Girl With Curves Drops Her Dia & Co Collection today! Oh to have a reason for that pant suit. I read it but missed that. Thanks. I’ve been shopping that line since it dropped. She has some gorgeous pieces!! Is that second outfit in the picture a jumpsuit?! I got into Eva Mendes post-hysterectomy. I can wear misses XL and XXL but it’s good to see plus sizes.